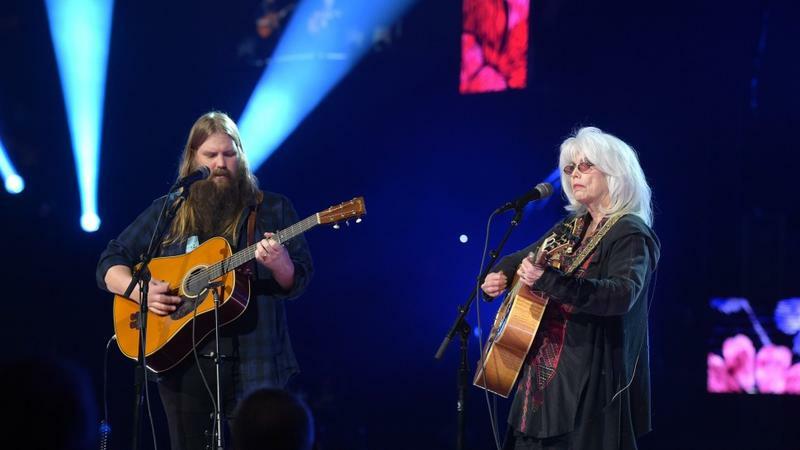 Chris Stapleton and Emmylou Harris perform Tom Petty's "Wildflowers" at the 60th Grammy Awards Sunday night. The 60th Grammy Awards leaned on Nashville for solemnity and substance on Sunday night, with prominent Music City country and roots artists anchoring the night’s in memoriam moments. 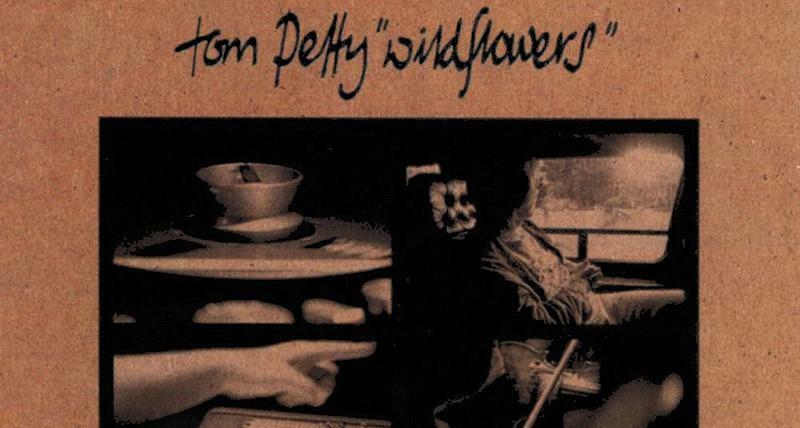 Chris Stapleton and Emmylou Harris offered a tender acoustic performance of “Wildflowers” as a tribute to Tom Petty that segued into a eulogy for musical figures who passed away in 2017. Earlier, Maren Morris, Eric Church and Brothers Osborne sang Eric Clapton’s “Tears In Heaven” on behalf of the victims of last October’s slaughter by gunfire at a country music festival in Las Vegas, the nation’s deadliest mass shooting. On a show dominated by hip-hop, R&B, Sting and U2, Stapleton collected Best Country Album for From A Room: Volume 1 in the televised broadcast’s only Nashville-centric presentation. Earlier in the day, he shared Best Country Song with his old Steeldrivers colleague Mike Henderson for “Broken Halos” from that album. Stapleton, whose phenomenal career blasted off after a show stopping 2015 CMA Awards performance with Justin Timberlake, also won the third and final category for which he was nominated, Best Country Solo Performance for “Either Way,” at the late afternoon ceremony where prizes are handed out for rootsier and more genre-specific fields. Viewers found ample evidence of that “certain thing” throughout the late afternoon. Taj Mahal and Nashville-based Keb’ Mo’ won a not unexpected Grammy Award for their collaboration TajMo in the Best Contemporary Blues Album category. The Alabama Shakes, which share home state roots with Isbell, won Best American Roots Performance for “Killer Diller Blues” from public television’s American Epic documentary project. And in a curious twist, Reba McEntire, renewing her megawatt fame this week with her surprise turn on TV in costume as Col. Sanders, was granted the Grammy for Best Roots Gospel Album for Sing It Now: Songs of Faith And Hope. Something improbable happened in the Best Bluegrass Album category where, for the first time since the award was inaugurated in 1989, there was a tie, resulting in two first-time winners, and they could not be more different stylistically. Rhonda Vincent, whose career stretches back to her family band of the 1970s, is a veteran who’s been dubbed the “queen of traditional bluegrass.” She took home her Grammy for the live album All The Rage: In Concert Vol. 1. 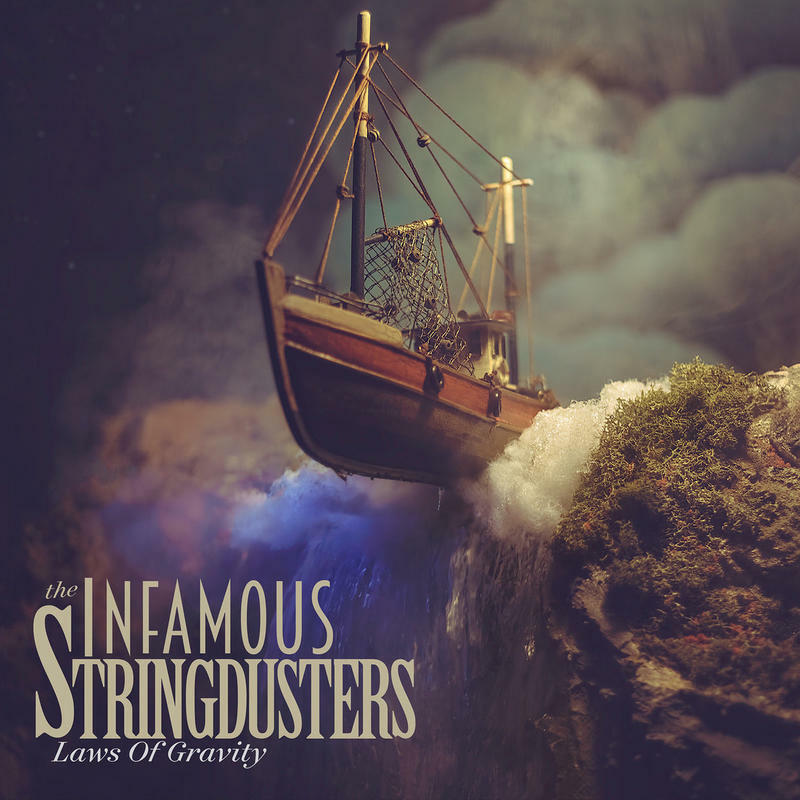 And The Infamous Stringdusters are the adventurous, improvisational quintet whose origins were in Nashville just over a decade ago. They won for the Compass Records release Laws Of Gravity. “Winning this award was made even better by sharing the honor with Rhonda Vincent,” the band said in a statement that shows it appreciates the foundational artists on which today’s bluegrass scene rests. The win for the Stringdusters may well prove the most consequential for career trajectory among the roots fields, given that it’s a first and that the band is otherwise playing to ever growing audiences on the jam grass circuit. The Grammy comes just days after they announced the formation of their own label, Tape Time Records, along with its first signing, Wisconsin-based Horseshoes & Hand Grenades. That band’s fourth album The Ode will be released on February 16. The two bands will be touring together through Valentine’s Day. NASHVILLE, Tenn. (CRAIG HAVIGHURST) -- In the ten years since their recording debut, the Infamous Stringdusters have burnished two distinct but complimentary reputations. While no longer Nashville based, they are recognized as musicians who play with the highest Music City virtuosity. And two, they've transcended the limits of the bluegrass business, reaching rock festival and jam band audiences across the country.